Now that is a catchy title. A faster DUE based controller for Plan B is now in prototype phase. It has most of the features of a Megatronics V3, including most of the pinouts (but not all). This controller was made to get the printing speed of Plan B up to acceptable levels. With huge amounts of ram memory for buffering, and a fast, 32bit, 84MHz processor, it is orders of magnitude faster than the 8bit 16MHz Atmega 2560 the Previous controller ran on. This new controller may get a version that is for sale. This can not only be used for Plan B, but in theory should also be usable for normal 3D printers. This might happen, but it will depend on demand and cost. Schematics and sources will be posted regardless of a version for sale. Have a video printing a single layer. First I will go to Groningen with it, then I will post the files and upgrades for a faster Plan B, and perhaps I will make a controller for sale. 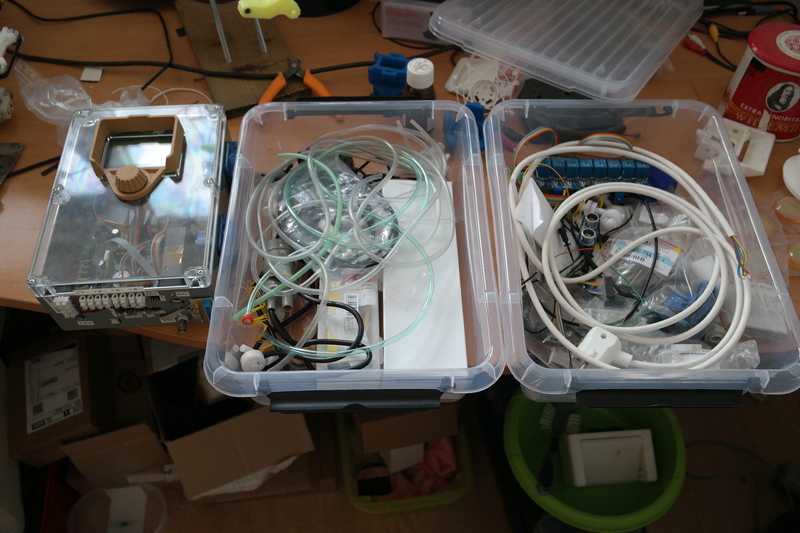 I will be on the Maak Festival (maker faire) in Groningen (the Netherlands), 12 April 2015 (maakfestival.nl). If you want to see Plan B in person or want to talk, Groningen will be the place. I am moving to Enschede May this year. This means that: 1, I have more space for bigger projects but 2, I will be quite busy for a while, and so site support and projects will move a bit slower for a while. 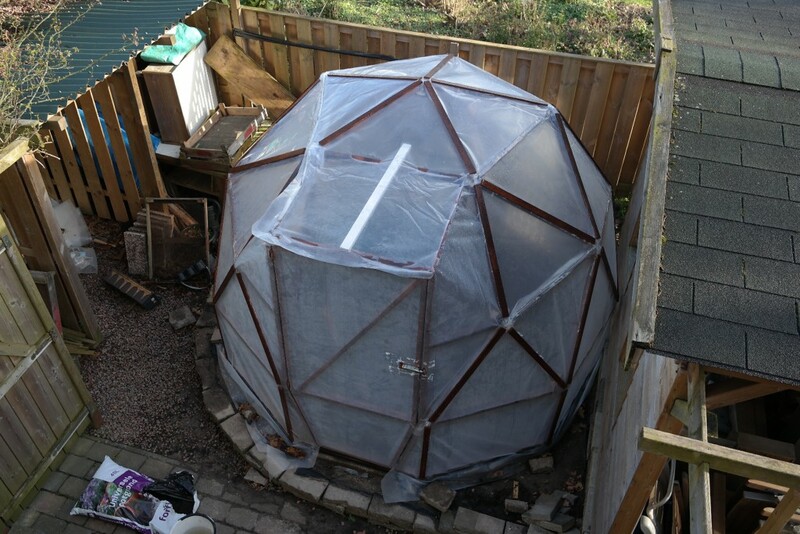 I have build a geodesic greenhouse. I might make it a page on this site, it will appear at some point on instructables. I was planning on using it for Hydroponics experiments, but I will not be using it myself. I am moving, right after I finish it. My parents will use it the old fashioned way. It is almost done, but here’s a picture of it. Ignore the beam in the middle, that will be fixed later. I was working on a hydroponics controller. I have gotten some doubts about the execution of the project since I started on it, fearing that it is overly complicated, but it is now a workable machine. The problem is that I am going to move, and the greenhouse I built for my hydroponics setup is not coming with me. I am moving to an apartment with a nice balcony, so I will take some space from that to place my plants. Updates when they happen perhaps. The controller and all of the stuff Related with hydroponics, like PH and EC sensors, and pumps.